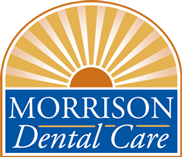 A world-class smile needs world-class care, and Morrison Dental Care can give that to you. Call us at 518-371-3400 or you can use our online Request an Appointment form to arrange your one-on-one consultation. Patients come to us from Mechanicville, Clifton Park, Halfmoon, Saratoga Springs, Troy, Waterford and bordering areas.